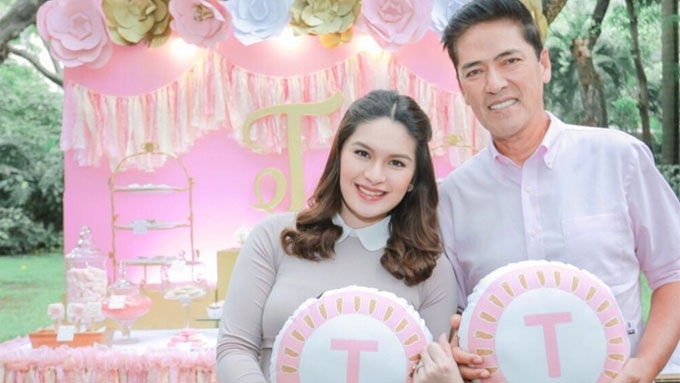 Pauleen Luna and Vic Sotto are now proud parents of a baby girl, who came out already ahead of her time. To the quick, the dad instantly thought of a name for her - Prima. Prima for premature. 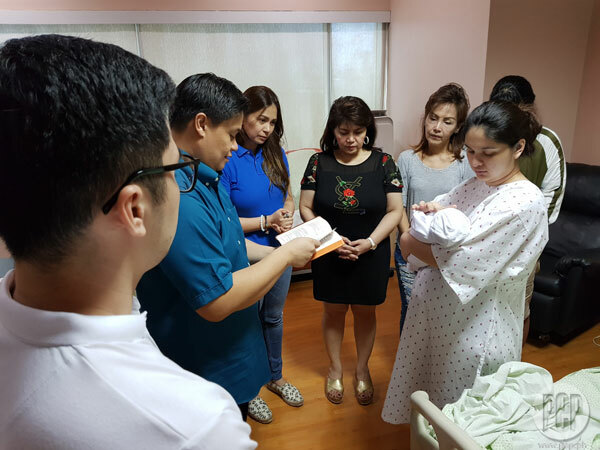 Pauleen Luna is still recovering from the physical toll of her birth delivery. When PEP.ph (Philippine Entertainment Portal) visited the host-actress at the Cardinal Santos Medical Center yesterday, November 7, she could hardly move. However, she struggled to stand up when the priest, Fr. Jeff Quintela, arrived to bless her baby. Among her visitors was the actress Sherilyn Reyes-Tan. Pauleen joked that her little one probably didn't want her birthday to fall on November 10, her own birthday. The new mom gave birth via emergency cesarean section last November 6. She related, "Nagpa-check up lang ako, kasi may mga contractions na ako. "Siguro mataas lang talaga ang threshold ko sa pain. "Kahit medyo malakas na ang contractions, 'kala ko parang normal lang. "Iba na pala, sabi ng doktor ko. "Nagpa-check up lang talaga ako, e, pinadiretso na ako i-confine... gusto na niya talaga lumabas." Pauleen admitted, "Hindi pa talaga kami ready." But upon hearing the baby's faint heartbeat, the OB-gynecologist decided to perform a c-section. Vic and Pauleen's baby came out healthy, and weighed 6.9 pounds. Bossing actually suggested a new name for the baby: Prima. The Eat Bulaga! co-host gave birth three weeks before her due date. NO PICTURE ON SOCIAL MEDIA YET. To date, only a photo of the little girl's tiny hand was posted on Instagram by Pauleen's mom Chat. The couple decided to have an official post revealing the baby's name and face soon. On being a mom, Pauleen exclaimed, "Iba pala talaga ang feeling. Ang sarap-sarap kahit mahirap, okay lang." Bossing, for his part, keeps viewing her birthing video. And even if she had a bit of a problem delivering her first baby, yes, Pauleen is okay with the idea of having baby number two.